Looking back, we might want to suggest that OA advocates spent too much time in the early years promoting the merits of openness, and too little time working out the best way of marrying the old tradition with the new technology. In addition, more time should have been spent on establishing what other old traditions of learning would need to be accommodated (and how) if the new world of scholarly communication that BOAI envisaged was to be realised. That too little consideration was given to these matters doubtless explains why so much confusion surrounds open access today, and why we are seeing growing frustration with it. In light of this, a new book by John Willinsky – The Intellectual Properties of Learning, A Prehistory from Saint Jerome to John Locke – is timely. Willinsky sets out to place open access within the larger historical context of learning’s traditions, values, and norms. And he does so by casting his eye all the way back to the rise of the monasteries, and then forward to the Statute of Anne (1710), which for the first time brought the regulation of copyright under the control of the government and courts, rather than private parties. Willinsky is more than qualified to undertake this task. A former teacher and now Khosla Family Professor of education at Stanford University, Willinsky is also director of the Public Knowledge Project and widely regarded within the OA movement as a leader. Willinsky’s is a worthy and interesting project, but in reading his new book one is tempted also to look for an explanation as to why the OA movement has in many ways stumbled. Certainly, Willinsky’s book makes for fascinating reading, and indeed at times strangely familiar reading. For instance, when he quotes John Locke calling in 1694 for term limits on intellectual property rights (at the time the Stationers’ Company held a monopoly over the publishing industry and publishers enjoyed perpetual monopolies on the works they acquired from authors), it could almost be Lawrence Lessig speaking in 2003. One difference to note is that where Locke proposed a 50 or 70-year term for copyright (which is roughly what it is today), Lessig advocates for a maximum copyright term of 14 years, which is what the Statute of Anne eventually settled on (with provision for renewal for another 14 years). Subsequently, the US copyright act of 1790 also adopted 14 years. (Lessig’s argument, therefore, is that US copyright should revert to the original term). 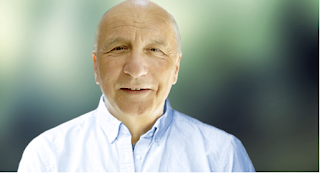 Having taken the long view Willinsky concludes that “openness as a value” is by no means a new idea, and that the notion of access should be viewed as a distinctive property of learning. He also identifies five further properties – namely accreditation, autonomy, communality, sponsorship and use. It is worth stressing that it was the values that Willinsky outlines that helped shape the intellectual property system we have today. And yet it is this system (notably copyright) that has proved one of the greatest obstacles to realising the vision outlined at Budapest in 2002. It does not help that the OA movement has consistently underestimated the challenge that copyright poses. It was assumed that all that was needed to address the copyright issue was to attach a Creative Commons licence to scholarly works, with OA fundamentalists insisting that this should be the most liberal CC licence (CC BY). Let’s remind ourselves that works licensed CC BY can be copied, redistributed, adapted and reused by anyone, even for commercial purposes. The only constraint on use is that the original author must be credited. CC licences were presented as new and radical, whereas in reality they do no more than split out and recombine the separate rights that automatically attach to any creative work. What they cannot do is remove the tensions over ownership and accessibility that gave rise to the copyright system in the first place. And it turns out that while researchers may be happy to publish their research without payment, most (if they understand the implications) are far less willing to have a CC BY licence attached to it. Many also resent being told they have to make their work OA, whatever the licensing arrangement. From this I conclude that while most researchers say they support the principle of open access, many would seem to value some of the other inherited values of scholarship more highly, not least the right to publish their works when, where and how they wish. This is presumably because they value what Willinsky calls autonomy more than they do openness (or access) and doubtless explains why calls to embrace OA have tended to fall on deaf ears. Funders and institutions have responded to this deafness by introducing a welter of (often conflicting) open access policies intended to compel researchers to make their work OA, either by means of green OA (self-archiving papers published in subscription journals, invariably after an embargo), or by publishing in gold OA journals. As a result, today researchers face an increasingly complex access environment, and OA has in many ways become as (or more) problematic as the (subscription) system it was intended to replace. It does not help that publishers have continued to appropriate copyright from researchers, even sometimes where a fee has been paid to make a work OA. This means that although many more scholarly papers are now freely available, finding and accessing research has become more and more difficult, with researchers having to wade and sift through a hodgepodge of frequently unsatisfactory versions of papers whose status is often unclear, or even unknown. In short, OA has introduced a worrying degree of chaos and uncertainty into scholarly communication, and impoverished access as much as it has improved it. The solution, Willinsky suggests, is to introduce legislation to (as he puts it in his book) create “a distinct legal class or category for the intellectual property associated with learning”. Willinsky’s is a logical response to the mess and uncertainty created by OA, and one that other OA advocates will readily support. But as noted, CC licences cannot resolve the underlying tensions over ownership and access, and no combination of CC’s bundled rights is ever truly satisfactory. Moreover, whether politicians would be prepared to introduce the kind of legislation that Willinsky would like to see must be doubted (certainly in North America). To date, 12 years of lobbying by OA advocates has failed to persuade US legislators to introduce either the Fair Access to Science and Technology Research Act (FASTR) or the previous Federal Research Public Access Act (FRPAA). That both these bills are more modest in their aims than Willinsky’s proposal might certainly give us pause for thought. An alternative scenario could be that universities and funders will eventually decide to assert ownership of research papers (a right that in most jurisdictions they already have). This would theoretically enable them to make research open access without the need to get the buy-in of researchers, and on licensing terms that they could decide unilaterally. We should not doubt that universal open access would be a very good thing. However, achieving the BOAI vision seems likely to come at some cost to the very people who were told they would benefit from it (researchers). It is no surprise, therefore, that we are seeing new resistance emerge. Last year in Germany, for instance, after a new state law in Baden-Württemberg requiring that researchers make their papers freely available in their institutional repository was introduced law professors at the University of Konstanz responded by seeking a judicial review, arguing that the requirement to deposit infringes their academic freedom (let’s call it autonomy). And as more and more funders insist that scholarly works must be licensed CC BY, we are seeing growing pushback from researchers over this too. And again, the complaint is that requiring it is a threat to academic freedom (aka autonomy). What we are discovering is that old values that researchers hold dear are coming into direct conflict with the new access conditions that BOAI called for, not least the value researchers attach to the notion of academic freedom. Willinsky says below that if the corporate takeover of OA we are seeing continues then academic freedom “may well be reduced”. But this may not tell the full story. It is not self-evident, for instance, that BOAI notions of openness can be happily married with other historic norms and values. It may be, therefore, that some of these norms and values will end up being sacrificed on the altar of access. The value of autonomy, as discussed, but others too: for instance, those without the necessary funds to pay article-processing charges (APCs) are likely to be disenfranchised, which must surely challenge any notion of communality. The BOAI signatories were right to highlight the opportunities the network offers for improving access to research. But what they appear not to have taken sufficiently into account is that while this new technology makes possible far better access to research, providing this better access may impact negatively on some of the other values that have developed amongst scholars over the long history of learning. And if achieving better access means eroding or rejecting some of these other values it behoves us to consider whether this is a price worth paying, not just for researchers, but for society at large too. Meanwhile, in the global South, there is concern that widespread use of the CC BY licence will leave local researchers still vulnerable to having their works appropriated and enclosed by commercial publishers based in the North – a point made recently by a group of Latin American research organisations. Since this would be divisive, it too would seem to work against the notion of communality. Another concern must, therefore, be that open access is supporting and feeding these neoliberal strategies as much as it is enhancing access to research. (e.g. universities are now using OA policies to ratchet up the micromanagement of researchers and increase the Taylorism beloved of the neoliberal). Willinsky’s new book is a fine piece of scholarship and demonstrates well how accessibility to, and ownership of, learning has long been a contentious issue and the source of many conflicts over the years. Often at the heart of this conflict lies the difficult problem of balancing public and private interests. However revolutionary the internet may be, it cannot solve these issues. It has, however, again brought them to the fore. It is also important to note that Willinsky is no armchair philosopher. As director of the Public Knowledge Project for 20 years he has overseen the development and production of the leading open-source scholarly publishing platform – Open Journal Systems (OJS). As he points out below, OJS is now used by some 10,000 open access journals around the world. To discuss some of the issues Willinsky’s book raises I recently conducted an email Q&A with him, which I publish below. RP: In your new book you aim to set the open access movement within a larger historical context. In doing so, you argue that the OA movement’s belief in “openness as a value” is not new, and that the production of texts for learning purposes was in fact instrumental in the development of intellectual property. Is your point that much of the current debate about open access has taken place before, and so we can learn from the past? JW: Yes, Richard, my goal with The Intellectual Properties of Learning has been to provide an extended, if not excessive, back-story for open access. Once I started looking into this history, I discovered that the access question ran all the way back to the earliest days of learning in the West during late antiquity. The learned were engaged in a long history of efforts, and at times outright struggles, to maintain, ensure and increase access to the works they needed to advance learning. This work with texts gave rise to conceptions of intellectual property rights associated with not only access to, but the use of, the text, as well as a crediting of its authorship. These intellectual property rights were also associated with the communality of the monasteries and universities, as well as their sponsorship and autonomy, which made such learning possible. However, my point is not that medieval monastics, for example, saw their Benedictine commitment to communal property as an intellectual property concept. Rather, what I saw in the network of copying and sharing among monasteries, as well as in the generous sponsorship and surprising degree of autonomy afforded these robust institutions, was an unmistakable valuing of the learning in such texts. This sense of value in the free circulation of these works, which was often appreciated and rewarded by the larger society, is something that can perhaps inspire, rather than direct or guide our work today, as we move inexorably toward the universal open access of the digital era. That we can learn from the past, as you say, might be taken as yet another element of this welcome embrace of openness of intellectual work. RP: This research led you to conclude that scholarly works are different to other types of text, and that they have six “distinctive properties”. These properties, you say, include not just access, but accreditation, autonomy, communality, sponsorship and use. Can you say a little more about these properties and why highlighting them, and surfacing the prehistory (as you call it), of intellectual property can enhance the current debate about, and development of, open access? JW: While I began with this deep interest in the access question, I gradually came to realize that it made more sense to see access as but one element or property that proved to be vital to learning across the ages. After all, the learned sought access to texts in order to make use of them, in the sense of copying, glossing, providing commentary and critique, and building new interpretations and new works. Exercising these assumed rights of access and use led to an increasing accreditation of authorship, not as a proprietary claim – although Augustine was perturbed by prematurely leaked copies of his texts – but as a property of a text that proved critical to its interpretation. I was also struck by how these properties were supported by the institutional communality shared by monasteries and later cathedral schools and universities, with these institutions playing a key role in defending a degree of intellectual autonomy and securing a level of endowed sponsorship, neither of which individual scholars had anywhere near the success in sustaining. RP: You go on to propose the creation of what you call “a distinct legal class or category for the intellectual property associated with learning” and suggest this should be treated differently. Is this because you believe that most of the intellectual output of academics needs to be protected from the vagaries and predations of the market? JW: Part of what this history brought into stark relief for me was the extent to which treating research and scholarship like any other form of copyright, whether it be Disney movies or Joni Mitchell music, could be said to be the best way “to promote the progress of science and useful arts,” as the U.S. constitution frames the right by which Congress can pass intellectual property laws. I see creating a separate order of intellectual property, much as we have for patents and trademarks, instead of allowing some exceptions for research, as a way to restore the original constitutional intent to the law. A similar case can be made in the U.K. for creating an intellectual property category that would better serve the original framing of such law as “An Act for the Encouragement of Learning”, as the Statute of Anne 1710 was identified. For more than a decade now, we have had federal and state funding agencies’ open access policies, as well as those of international philanthropies, creating through research-grant contracts what is, in effect, a further copyright exception for research. This amounts to something of a work-around, or perhaps more charitably, a trial balloon for copyright reform. It could continue like this, but it is making a patchwork of access to this important body of work, what with embargo periods, “final drafts,” and open access copies, not to mention all of the work that is not covered by these policies. It seems highly appropriate to move this out of the hands of agencies and into legislative reforms that ensure people’s right to this knowledge as a whole. Access to bits and pieces is as much “a Discouragement to Learning, and the Shame of a well mannag’d Government,” (as Daniel Defoe argued in the period leading up to the Statute of Anne 1710) as it is outright dangerous in terms of what can be consulted in areas such as healthcare. As to how realistic such legislative change may be, I am encouraged by current discussions around copyright reform in Europe focused on creating a distinct category for data and text mining, in recognition of the value to science and society of such rights. RP: One of the distinctive properties you say distinguishes scholarly work is autonomy, which I guess subsumes academic freedom. I note that while some argue that open access will enhance academic freedom, others view it (certainly in its current form) as a threat – as, for instance, the author of this article might seem to be arguing. Is it possible that OA could end up diluting and constraining academic freedom? 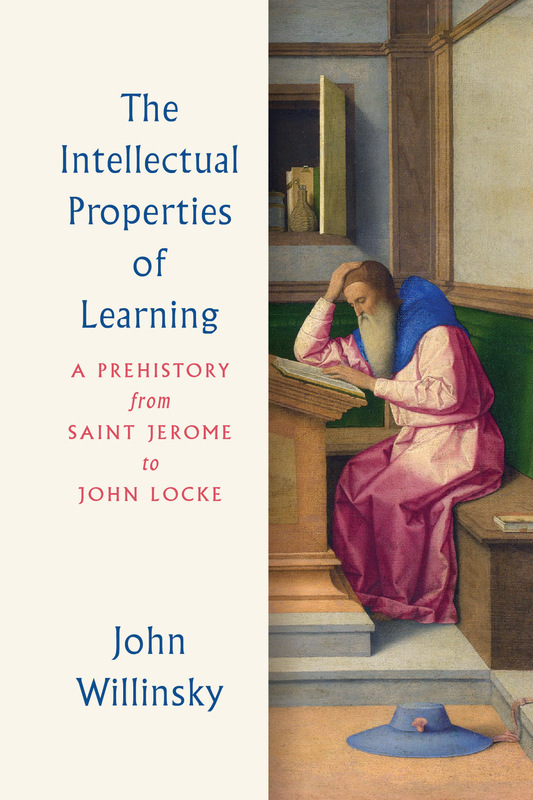 JW: That autonomy proved to be one of the intellectual properties of learning was one of the encouraging lessons I’ve drawn from this history, going back to how many of the monasteries were granted independence from the local bishop, if through the authority of a far-off pope. There was always a relative degree of autonomy in being able to follow where one’s learning appeared to lead. But this ability to step away from the world has long been a point of being able both to know it better and perhaps be able to move it. So it is best, in my opinion, to think of this autonomy – and, in turn, the academic freedom associated with it – as a relative intellectual property of our work rather than as an absolute right. That the large corporate scholarly publishers are now fully on board with open access, at least in principle (which is no small gain over the last two decades), has a lot to do with the introduction of the article-processing charge (APC) economic model. Sustaining current profit margins, I want to believe, is not the whole of it for this corporate buy-in, but it does now need to figure, as you and Michael Hager, whom you cite, rightly raise, in any assessment of open access’ contribution. If the corporate takeover of scholarly publishing grows without check – not just in the proportion of journals but in the acquisition of scholarly communication infrastructure (see for instance the recent corporate acquisitions of SSRN and bepress) – then academic freedom may well be reduced, as this sector typically charges the academic community more for it services, thereby reducing the money available to support research and scholarship (which, if you’re interested in numbers, was $1.3 billion in the case of Elsevier's 2017 profit). So while open access, as I see it, arguably increases academic freedom by enabling scholars to consult more and more of the relevant and germane work in their field (rather than being constrained by the subscription count of one’s library), those gains could be offset by an increased corporate hold on this economy. You may wish to advise us to keep an eye out for the flying ironies of getting what we wished for with open access. But the other side of my work, when I’m not exploring the online monastic library chests of the Middle Ages, has been to work with the Public Knowledge Project in building an open source software, operated by and for the academic community, to provide every bit as professional and sophisticated an editorial workflow and publishing platform as commercial providers offer. The 10,000 journals using our software speak to another path to open access for the academic community writ large. RP: Another of the distinctive properties you identify is sponsorship. You point out that abbeys, convents and priories, along with schools, colleges and academies were originally created and funded courtesy of sponsorship from benefactors. I think you may be proposing that it is time to sponsors new types of scholarly communication. In particular, you would like to see university libraries redirect the money they currently spend on subscriptions to legacy publishers to sponsor new OA journals and OA publishing platforms. Is that right? Are you saying we should view scholarly communication as a gift economy rather than a market economy? JW: The history of learning is filled with the most fanciful forms of sponsorship, each expressing societal support for the recognized public good that learning represents. The benefactors of learning were not only those who endowed tracts of land to monasteries, but included the extra baking that a humble household might provide a medieval convent, or the gift of a single book on having a child admitted to the novitiate, or Thomas Bodley’s rebuilding of the “public library” of the University of Oxford at the outset of the seventeenth century, complete with a Stationers’ Company deal to deposit in it a copy of every book printed, as if to recognize with each book (although compliance was imperfectly realized) the distinction you make between gift and market economy. Which is only to say that we need to continue to explore the forms of sponsorship that advance learning. As I suggested in the previous question, there is room for a mixed economy, with a move to more of a market for publishing services, where proprietary solutions vie with open source ones. This would be an improvement over the monopoly ownership of publications that prevails today. I also think there are likely to be market elements to sponsorship in a mixed economy. And yet with sponsorship (and the gift economy) setting the context, the models that I believe warrant further exploration with open access are based on cooperative arrangements among the stakeholders. These cooperative models involve libraries subscribing to existing journals on an open access basis because libraries do not lose if others have access to this knowledge. And, in fact, they have much to gain from sponsoring open access in this way so as to provide greater availability for everyone. Yes, the free-rider question will arise, but the SCOAP3 continuing arrangement with 3,000 libraries provides an evidence-based response to this inevitable objection. I’ve also been exploring, in a piece not yet out, the economics of research funders paying publishers directly for each sponsored article published. This is directed toward the biomedical field as an alternative to the gross discriminations and inefficiencies of the APC model that is simply not extensible to the social sciences and humanities. Between libraries and funding agencies (both government and private) a path begins to open up to enabling universal open access where corporate and community publishing services compete to provide the highest quality articles and books at a market-driven price, supported by learning’s standing as a distinct category of intellectual property whose value only increases with universal access. RP: Can you say more about the alternative scholarly publishing infrastructure you would like to see, and how its sustainability over time could be assured? JW: If you’ll forgive the lack of modesty, repeated, I’d argue that the Public Knowledge Project, which you have already given me a wonderful opportunity to discuss in an earlier interview, is an example of an alternative scholarly publishing infrastructure that was created 20 years ago this year. DuraSpace is another of the older ones; while our friends at Coko have created a new instance. But we’re not so much about sustaining an alternative as about going head-on in developing better ways of sharing knowledge. If by our example others are inspired to create even better alternatives, more power to them. If I had thought that corporate publishers offer the self-sustaining, stolid, and stable publishing future that science needs in order to thrive, then I would have stuck to writing books rather than working with the Public Knowledge Project. In terms of being able to assure sustainability over time, what my book points to is the remarkable, if often rocky and uneven, record achieved by institutions of learning, beginning with the monasteries. RP: I can see that placing open access within a historical setting is a valuable exercise to undertake. I guess you would nevertheless acknowledge that today’s digital environment has some special characteristics and present specific challenges that set it apart from past moments of change and previous technologies? If so, what are these characteristics, and what particular and/or special challenges do they present for the OA movement? JW: What sets apart the current era is the potential scale of public access to research and scholarship that is at issue. Encyclopaedias represent a map of the world of knowledge, and on Wikipedia’s part, a very large and almost instantly updated map (it, too, being a digital era invention). With universal open access, the number of people who can, for the first time, go from browsing the map to actually visiting that vast region of the world represented by research and scholarship vastly increases. Now most people will not, I imagine, venture off the map. But many will, in my estimation, including the professions, as well as students, teachers, journalists, Wikipedia editors, and interested readers, plus those who feel a need and a right to know what is out there, whether due to an illness or some other concern. Of course, print did wonders for the portability and spread of learning, although Oxford and Cambridge struggled for the longest time to make a go of it with academic publishing in the face of the London printers’ market dominance. Yet the hyperlinked world of open access to knowledge is different, and I think this access carries with it responsibilities. I happen to work in a school of education at Stanford – and it is no accident that a former school teacher who struggled to teach the young to embrace learning might want them to have the very best learning we can offer. As such, you will not be surprised to hear me emphasize the significance of beginning to prepare the young for the future of information, not least because this increase in access to research is being accompanied by an even faster growth in online misinformation and disinformation. RP: We also find ourselves in a specific political context. As you point out in your book, universities are now firmly under the sway of commercial interests and what Daniel Greenberg calls “campus capitalism”. This is part of the neoliberal political agenda in which we see governments seeking ever greater control over the management and control of universities and researchers (certainly in Europe). At the same time, universities and academics are being incentivized to behave as though education and research were a market like any other market. This same political environment has assisted commercial publishers to co-opt and control open access in ways that benefit them more than the research community. And it does not help that governments now view universities as drivers of national economies, and tend to conflate OA with big data (which has been described as the “new oil”). You said earlier that discussions in Europe about making the text and data mining of scholarly works a special category gives you hope that we could see scholarly works in general given special status. But given the current political environment, how likely is it that any government today would be willing to ring-fence academic works and (I assume) treat them as being outside the workings of the market? JW: You make a significant and troubling point, as you have elsewhere among your questions. Here in the United States, the campus patent chase is proving to be something of a fool’s errand, with most college industry liaison offices losing money. At the same time, in the case of Europe, the pursuit of open access through initiatives such as OpenAire and more recently Horizon 2020, is more intense and committed than here. I have to say that I don’t see open access as a panacea and numerous issues remain, including the reduction of state support for higher education, and the neoliberal strategies that have given rise to campus capitalism. There may well be more that we advocates will have to do to demonstrate how open access to research and scholarship increases the value of academic work for the larger society, sometimes in immediate and direct ways – as access to research can affect the way that teachers teach, how physicians treat patients, and how governments move to evidence-based policy decisions – and more often indirectly through, say, informed journalism and other means. RP: You are an advocate for the use of Creative Commons licences. I think I would be right to say that, despite what many believe, these licences do no more than split out and recombine separate component rights inherent in the traditional copyright system. In that sense they are not new (after all, people have always asserted and waived different rights for different texts and different purposes). In your book you suggest that in addition to creating a special category of scholarly intellectual property the legislation you propose should “require that a Creative Commons licence be applied to ensure communal access and enable a wide range of uses, while protecting the accreditation of the work”? Might it be time to move beyond traditional copyright altogether for scholarly works? JW: I agree with you that the CC licence does not introduce new rights. To take this a step further, given that researchers have the initial copyright ownership of their work, there is no need for CC licensing for them to make their work open access. Yet the CC licence’s value has always been in clarifying the status of the document, establishing that it can be freely used with attribution, which has been the very (scholarly) principle at work in the learned libraries over the historical course of my book. On the other hand, the reason that I am asking that we consider creating a new class of intellectual property for research and scholarship produced by universities is the piecemeal way in which CC licence is being applied as a decision by the publisher, or as a requirement of the funder. If this is being done both to recognize people’s right to this work and to increase the value of the work, then it is time to apply it through democratic action to the entirety of this body of work. RP: Many OA advocates will tell you that for a work to be considered open access it must have a CC BY licence attached. But when researchers discover some of the implications of using CC BY they often bridle. CC BY has also attracted criticism from those in the global South, who feel that it leaves researchers in less wealthy parts of the world vulnerable to having their work paywalled and sold on for profit by large publishers based in the North – as a form of neo-colonialism perhaps. The latter fear led to the Joint Declaration By LATINDEX-REDALYC-CLACSO-IBICT on the use of CC BY-NC-SA License to Guarantee Protection of Academic and Scientific Open Access Output. How would the special category of intellectual learning you propose aim to avoid commercial predation and/or enclosure? JW: I am very sympathetic to the strong stand taken in the Joint Declaration, just as I am very appreciative of the leadership and example set by Latin America in open access. The hope with the CC BY had been that once a work is placed under this licence then, even if others commercialize the work, it would still be available in its original CC BY form. That may not, as it turns, always be the case. On the non-commercial point, we were approached some years ago by members of the academic community using PKP who argued that NC discourages translation of works by third parties as they need to recover the costs when making the work more widely available to their communities in this way. While, ultimately, we leave the licensing up to the editors and publishers of the journals, I can see why, in light of the Declaration, recommending CC BY NC SA might be appropriate. All the more reason to consider the legislative route I propose to establish open scholarship as a distinct category of intellectual property. This would involve national initiatives (much as the Creative Commons has done) and global action through WTO’s TRIPS agreements etc., and I would not want to underestimate the lobbying, negotiation, and compromise that this might entail. And yes, it could well involve non-commercial or cost-recovery clauses, but I’d likely be more concerned with avoiding final-draft substitutes or embargoes. RP: Finally, how successful do you believe the open access movement has been to date and, aside from those we have discussed, what are the main challenges it faces going forward in your view? JW: I am amazed and impatient in equal parts over the success of open access. And going forward, well, if Marshall McLuhan was onto something in observing that “we look at the present through a rear-view mirror; we march backwards into the future,” then my hope for this book, which I thank you for reading so well, is that it sharpens that rear-view reflection into the future. RP: Thank you for taking the time to speak with me, and good luck with the book.